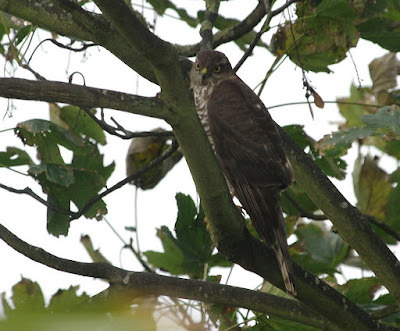 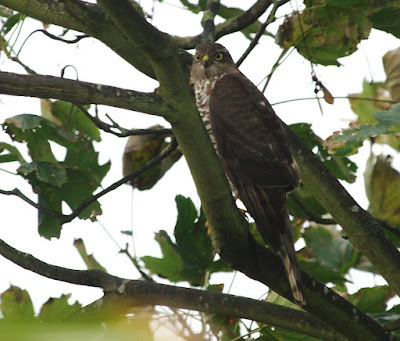 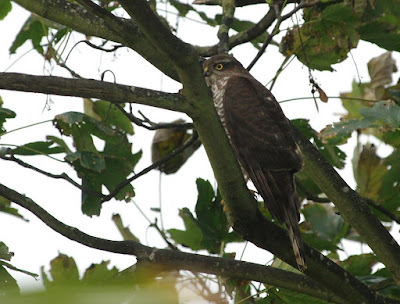 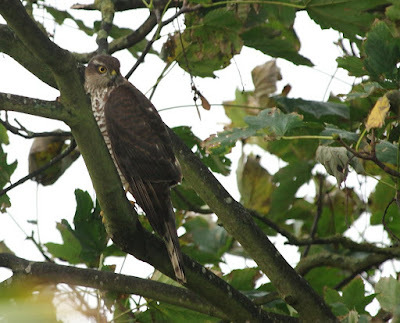 This little Sparrowhawk takes down several Collared Doves and Blackbirds in our garden each week: but what a wonderful creature - look at those steely eyes! 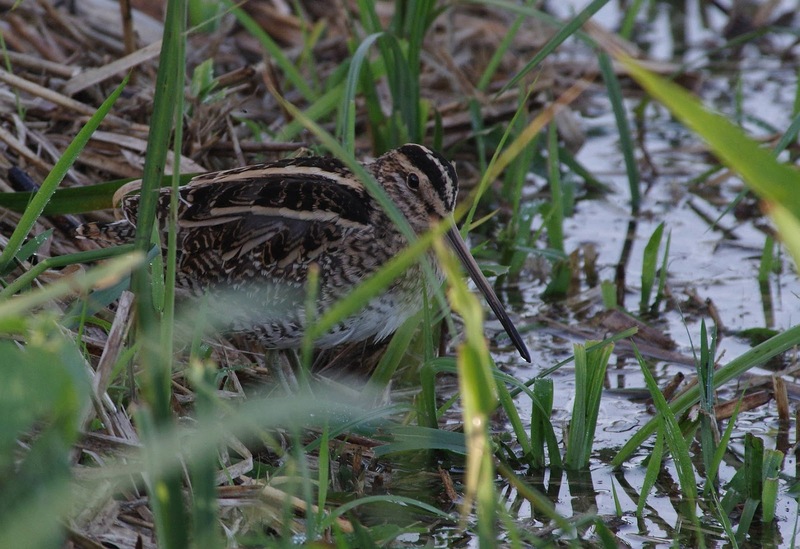 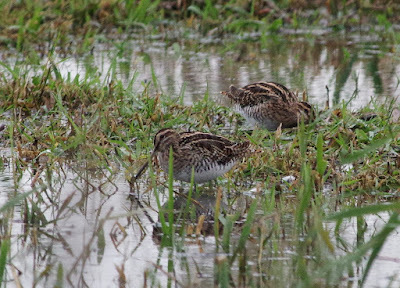 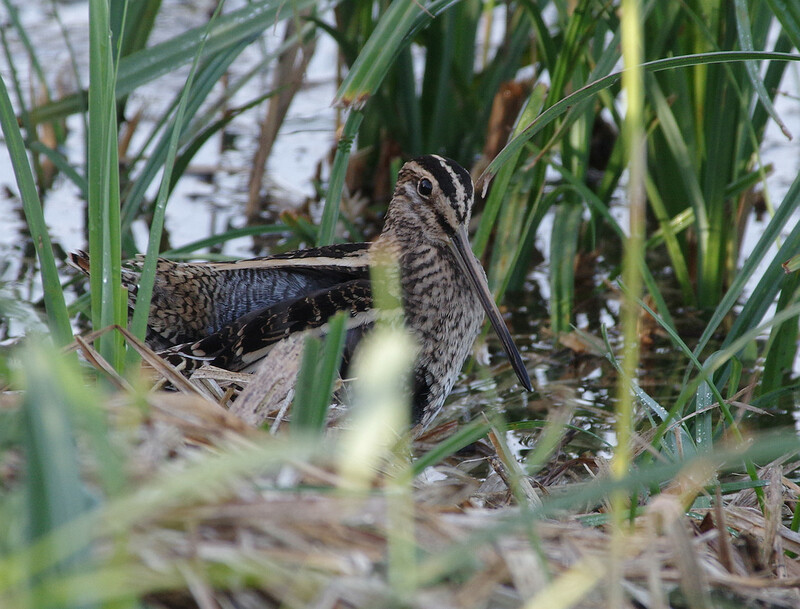 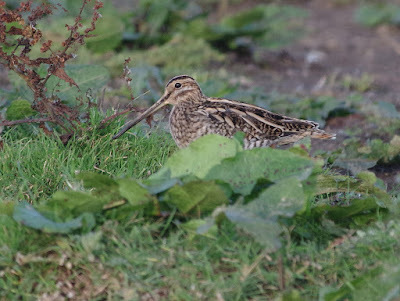 There was a slight feeling of 'after the Lord Mayor's Show' at the Fen this morning: none of yesterday's reported goodies had stuck around - the only Snipe were Common Snipe (but what gorgeous little birds they are!) 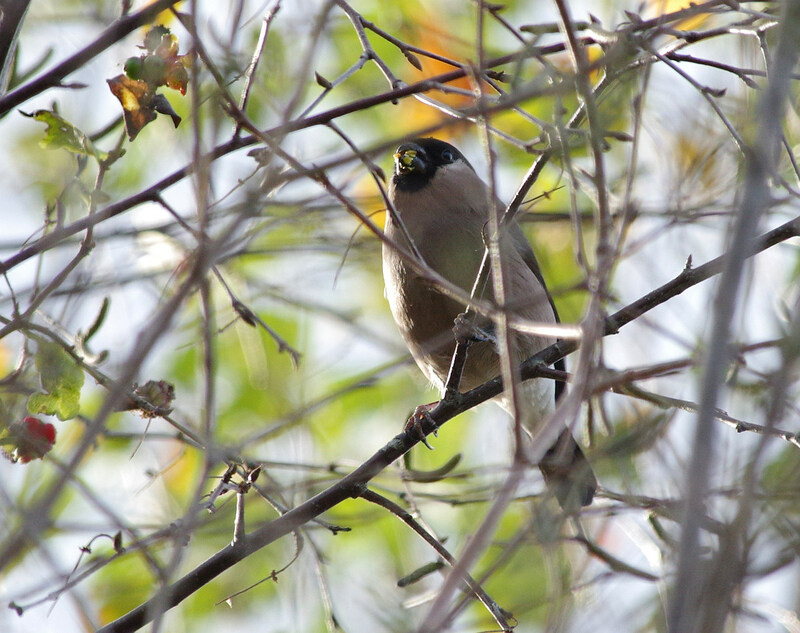 and the only chunky seed-eating finch I came across was a female Bullfinch. 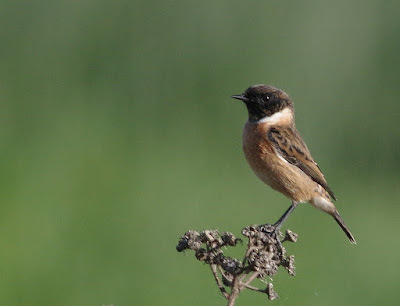 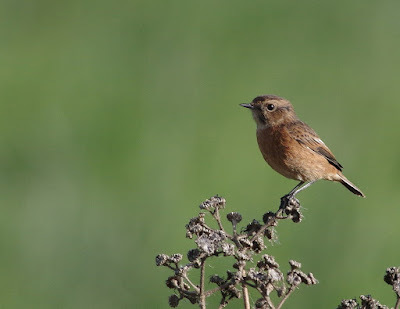 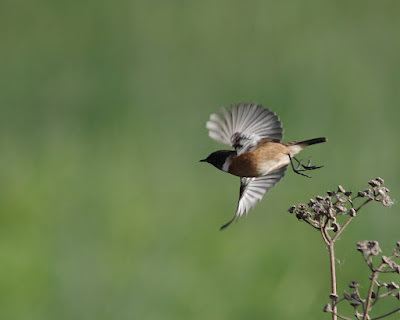 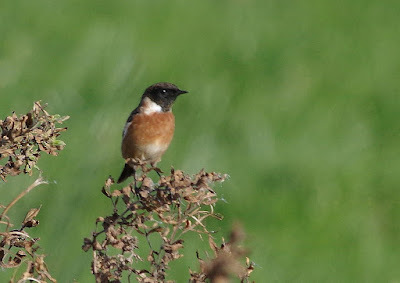 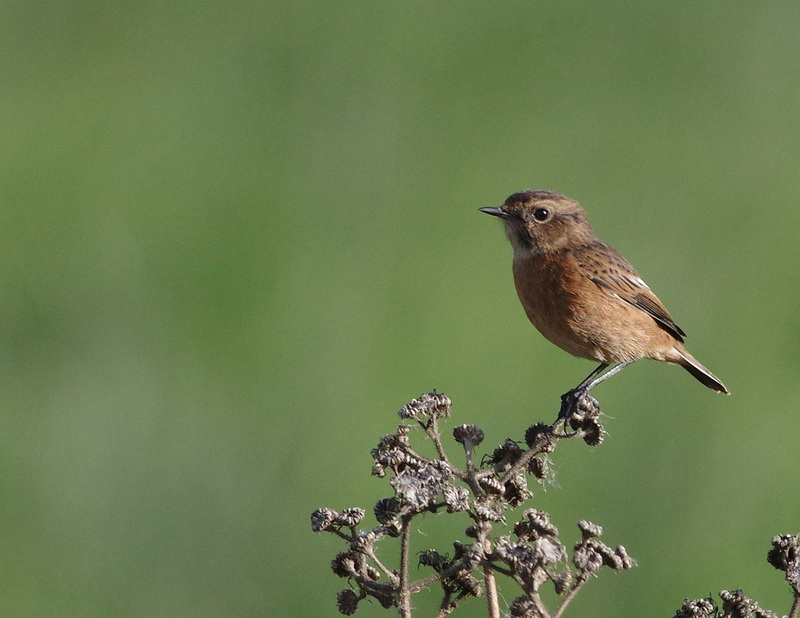 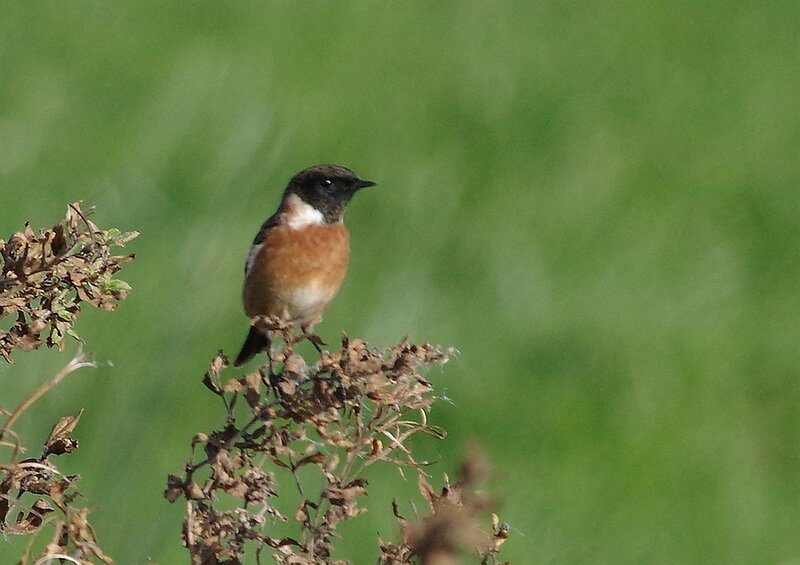 Nevertheless, it was fascinating to watch two male Stonechats competing for the attention of a female along the river bank. 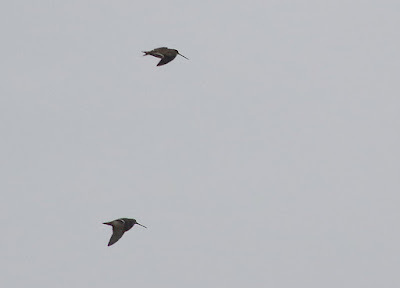 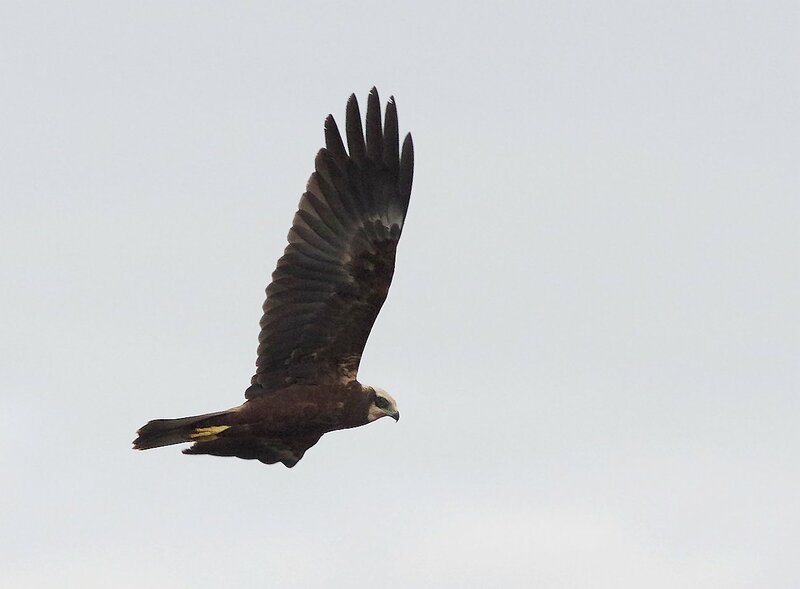 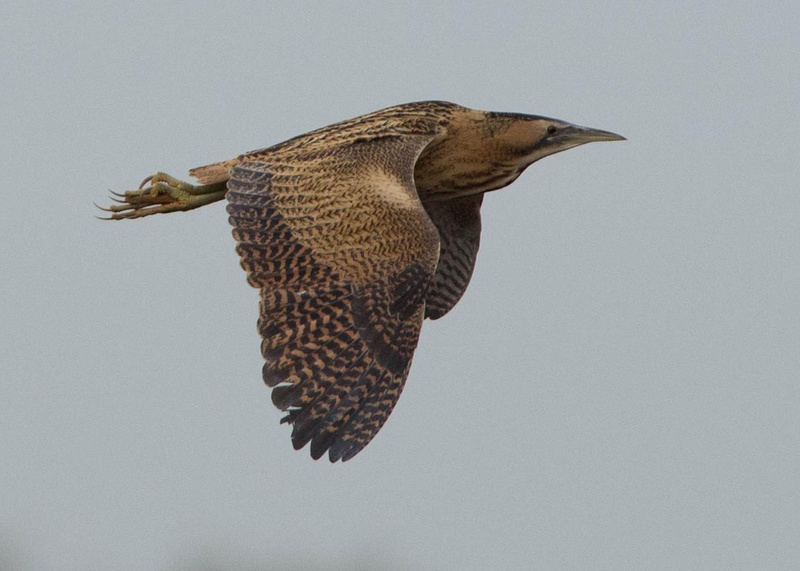 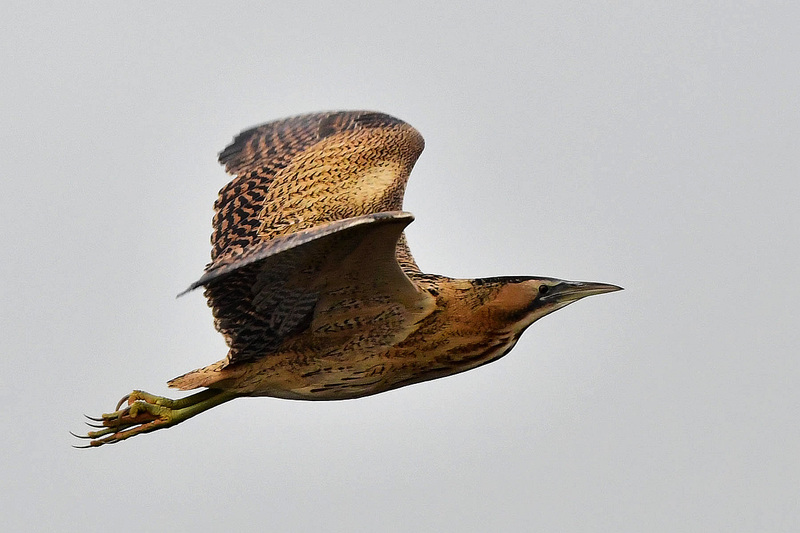 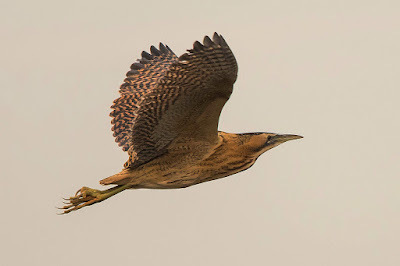 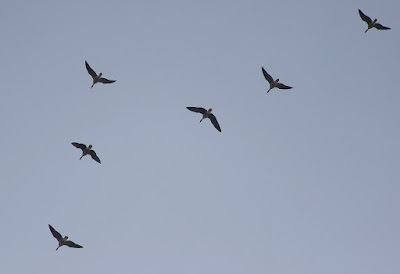 She exacerbated things by flirting with both males, who responded by repeatedly flying at each other. 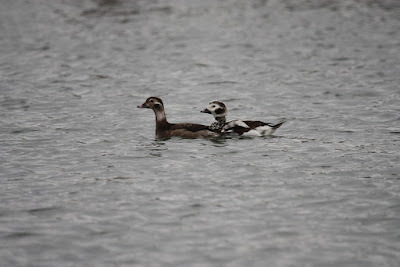 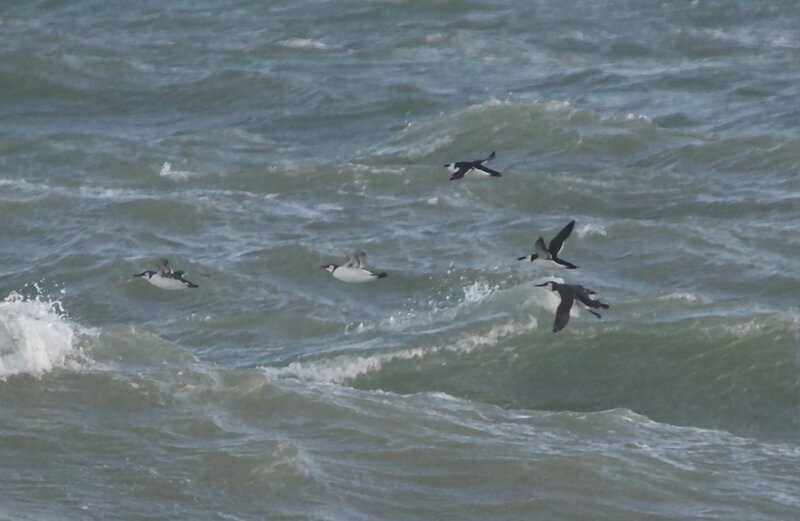 Long-tailed Ducks at Cantley - the ones that got away! 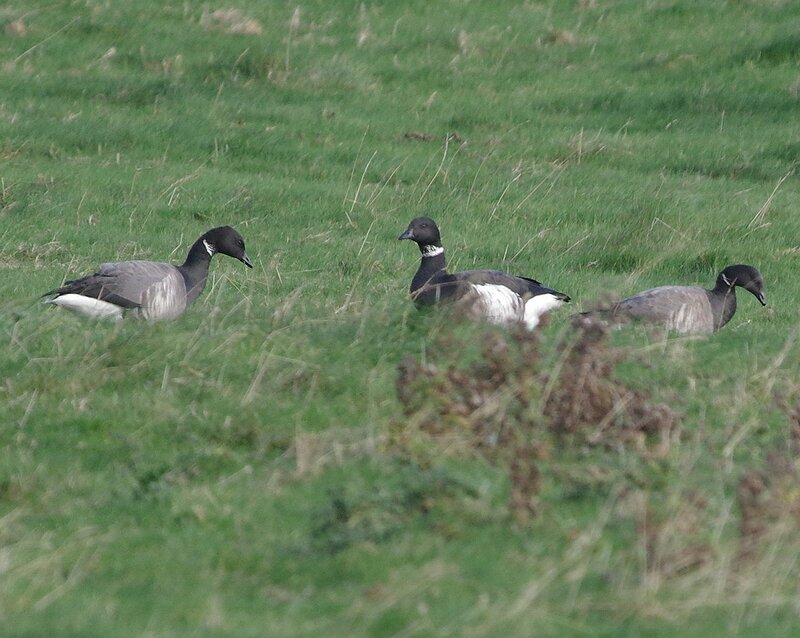 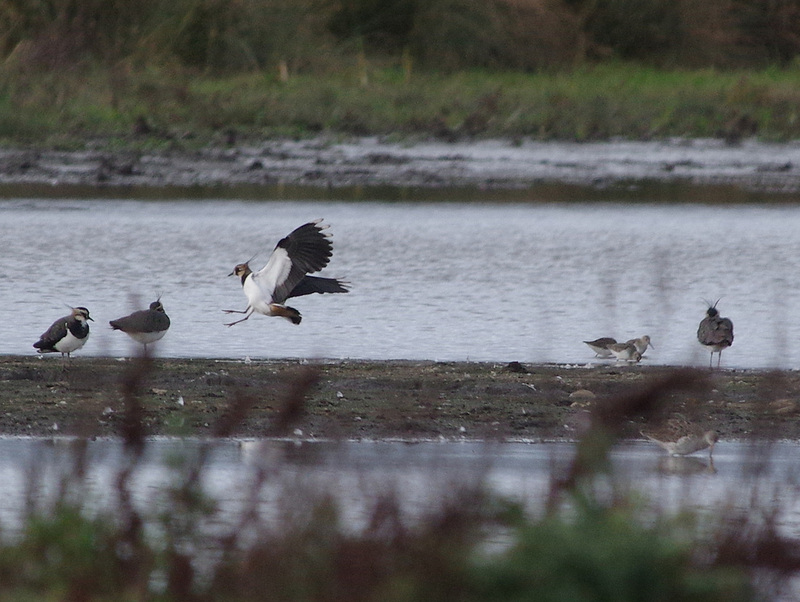 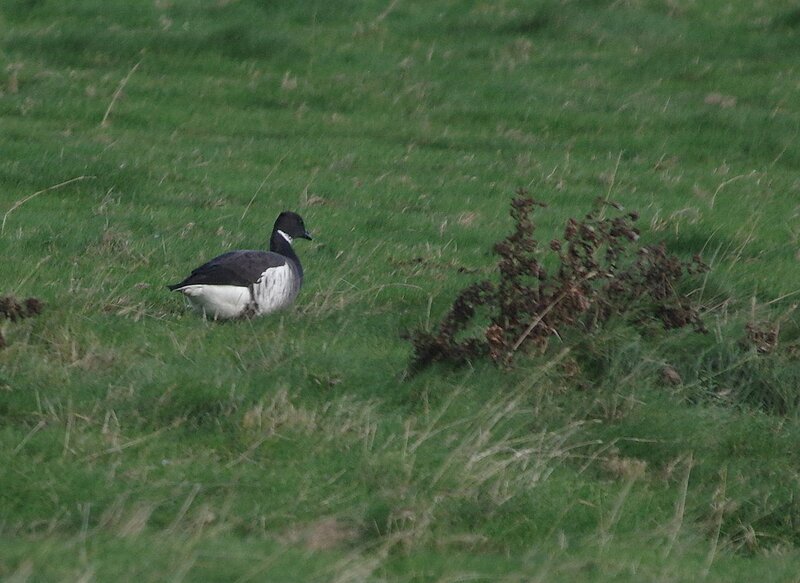 Sunday morning at Cley: Snow Buntings and a Black Brant. 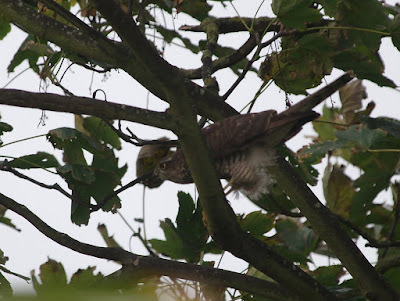 Linda and I continued our lightning trip around the coast, driving north through Bacton, Mundesley and Trimingham to Cromer. 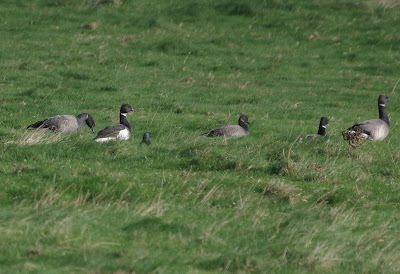 We had intended to stop and look for yesterday's Shag and Caspian Gull, but all the cliff-top parking spaces were taken, so we continued westwards towards Cley. 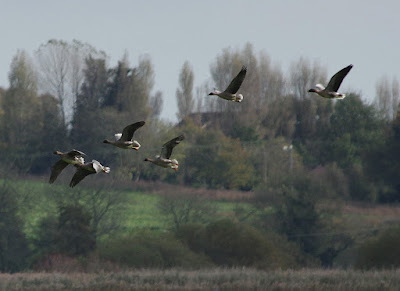 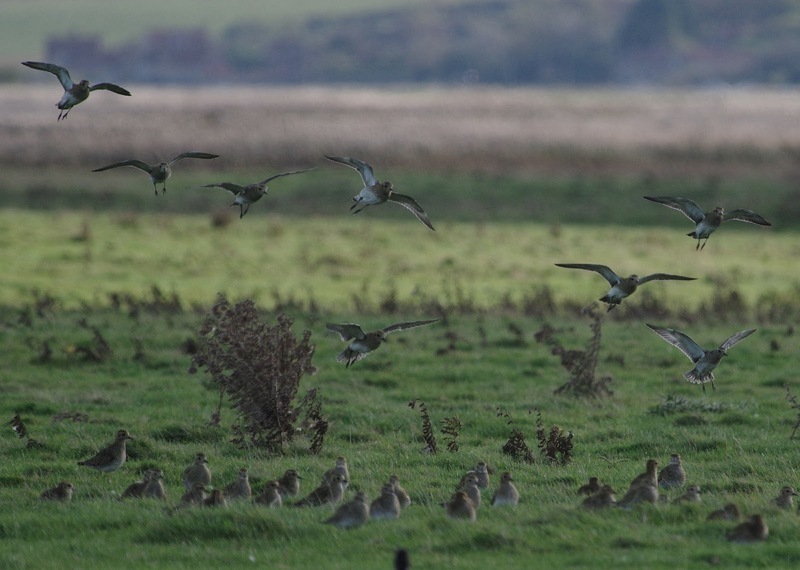 A group of twenty or so Brents were grazing near the new Babcock Hide so I pulled over into a farm track and had a quick glance through the flock. 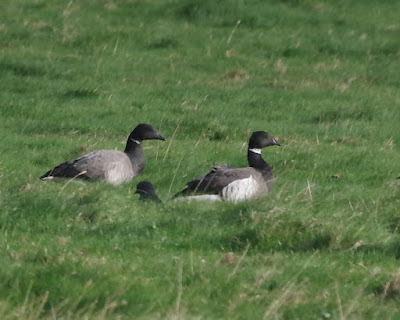 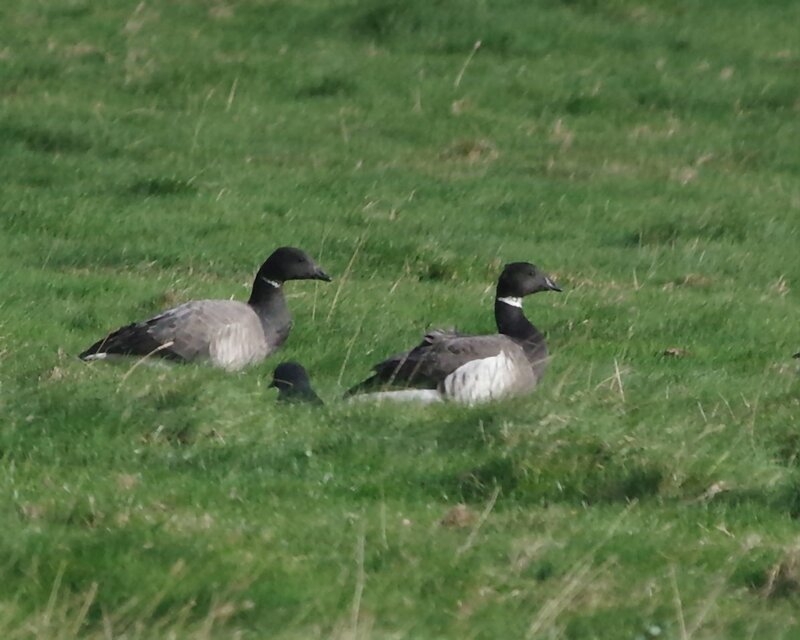 Almost the first bird I looked at was the Black Brant: a very dapper individual, this one, with a lovely lace collar and dazzling flank patch. 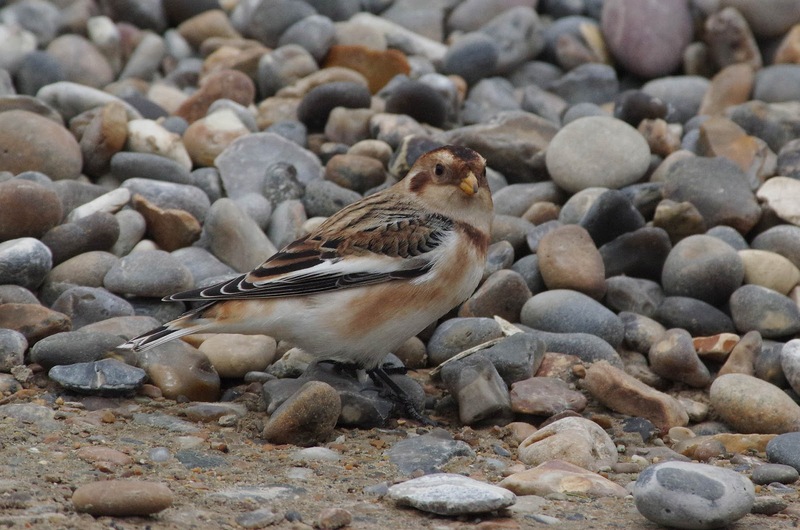 We stopped at the visitors' centre for a hot drink (the wind had chilled us both to the bone!) before driving to the beach car park. 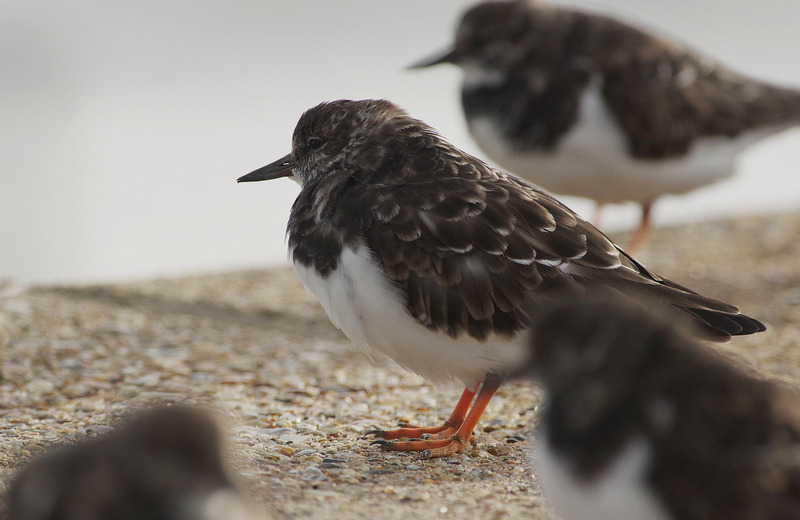 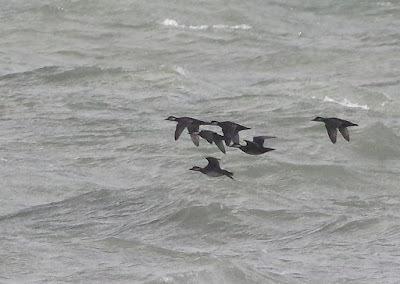 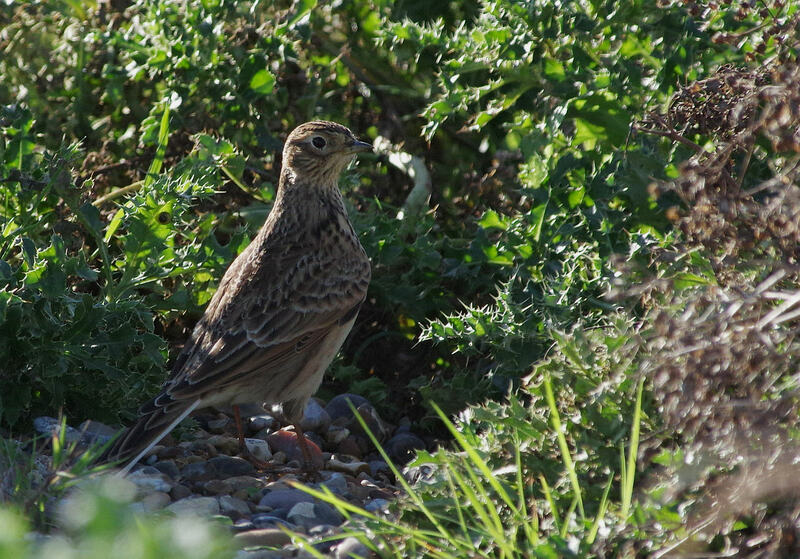 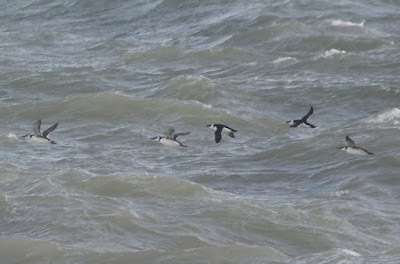 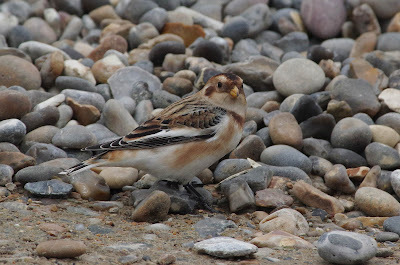 No sign of the Snow Buntings, so we spent half an hour - in between sleety showers - seawatching. 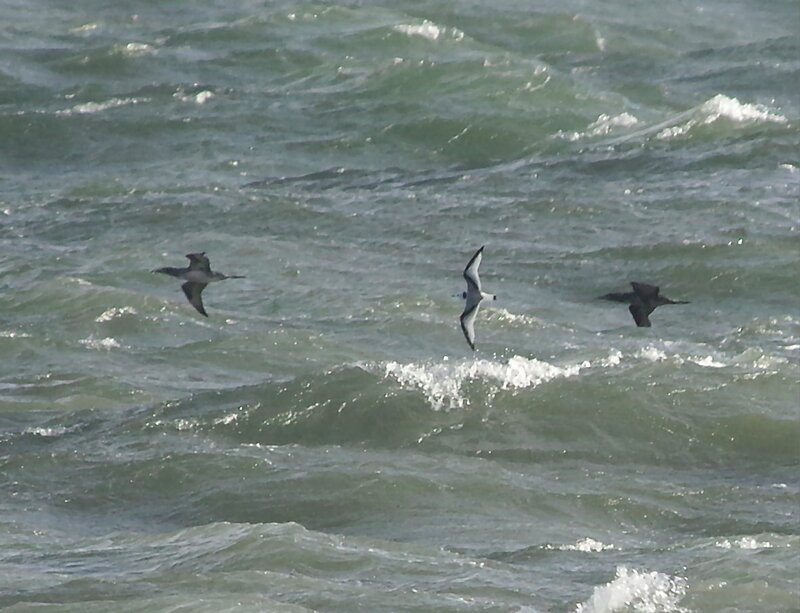 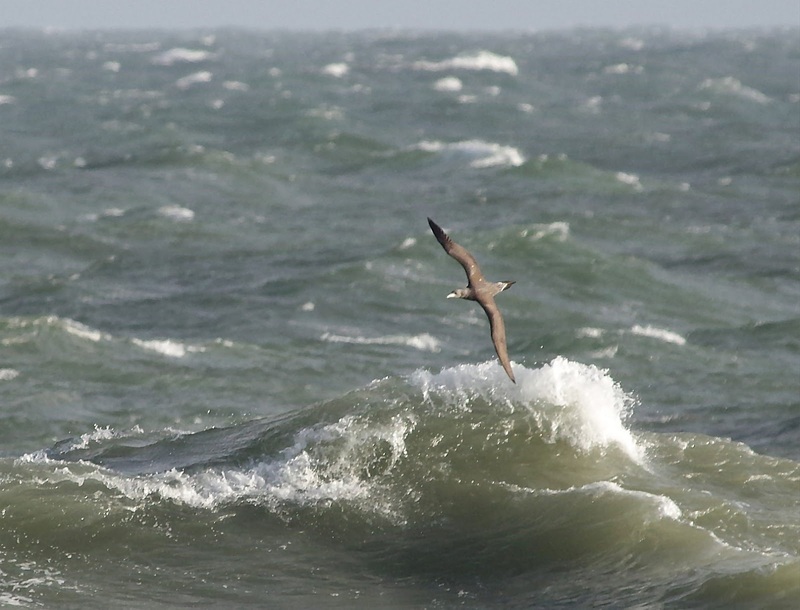 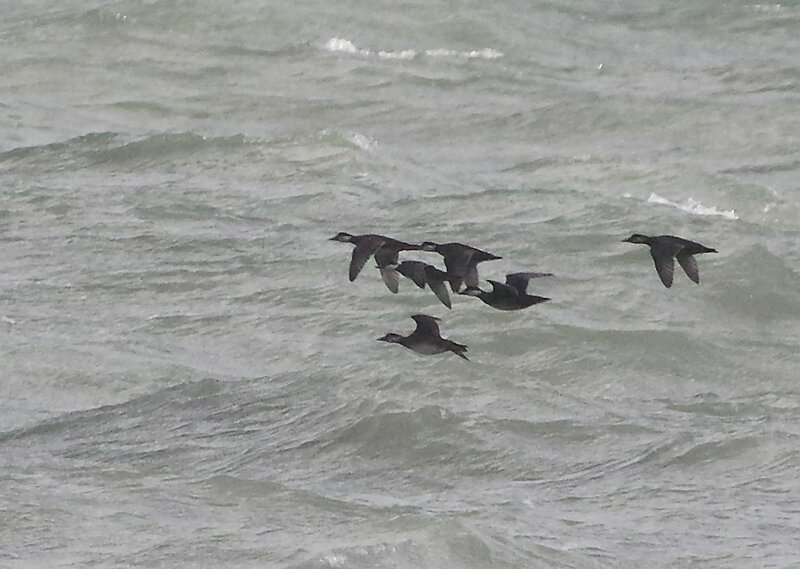 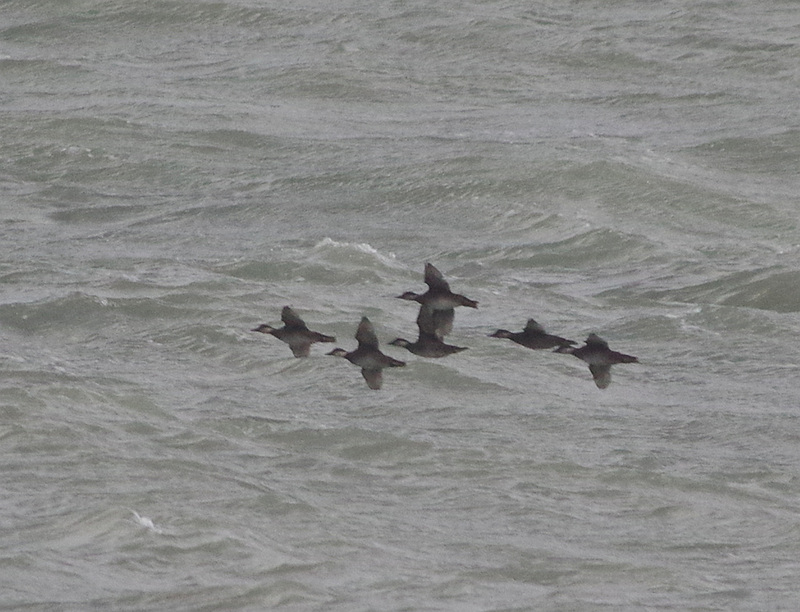 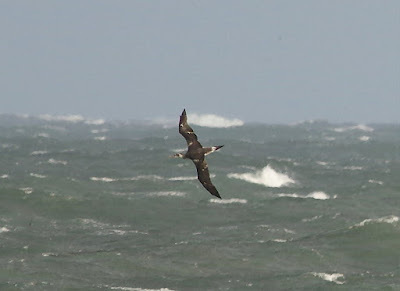 Earlier, a couple of Leach's Petrels had been seen, but all we managed were more Gannets! 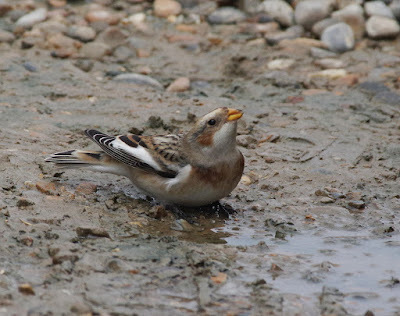 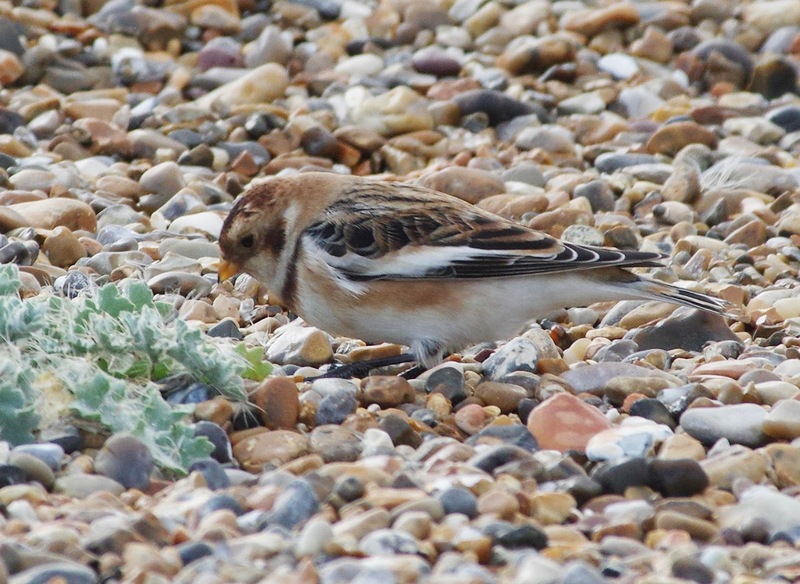 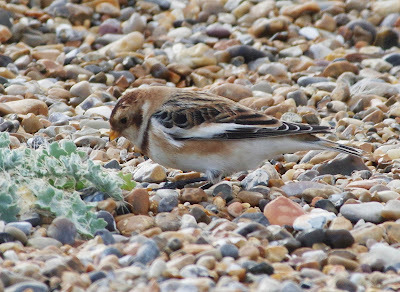 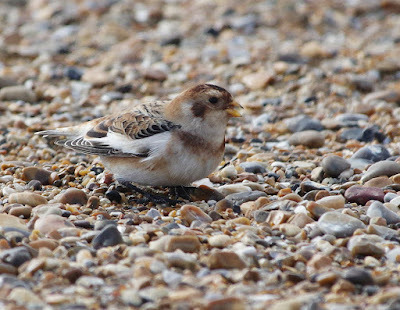 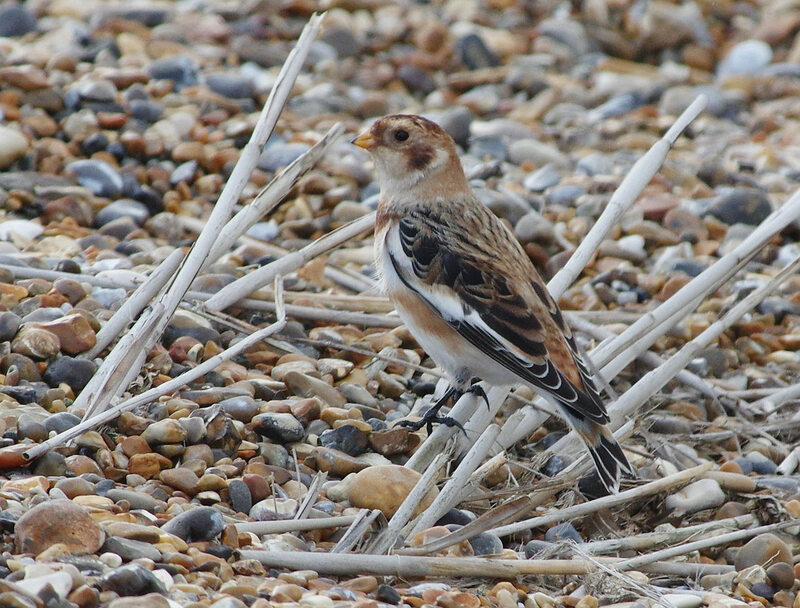 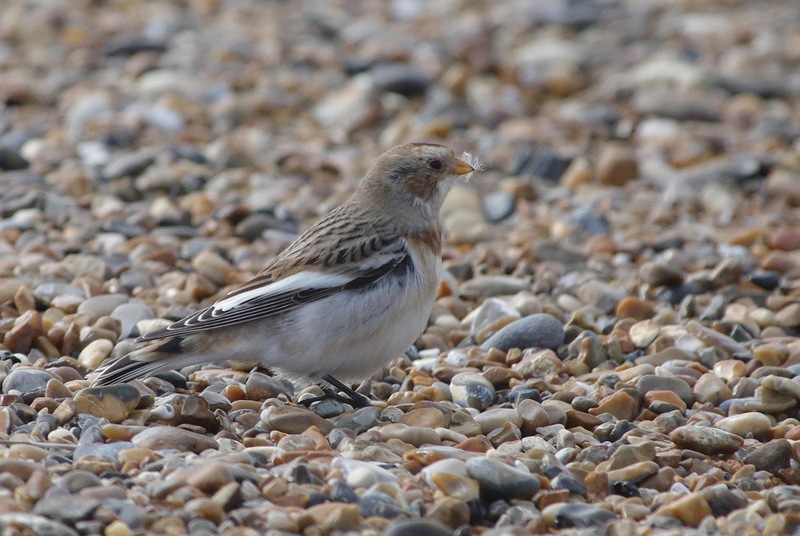 As we were thinking of leaving for home, a kind birder came over and told us that the Snow Buntings were feeding near the pill box, so these were soon added to the day list! 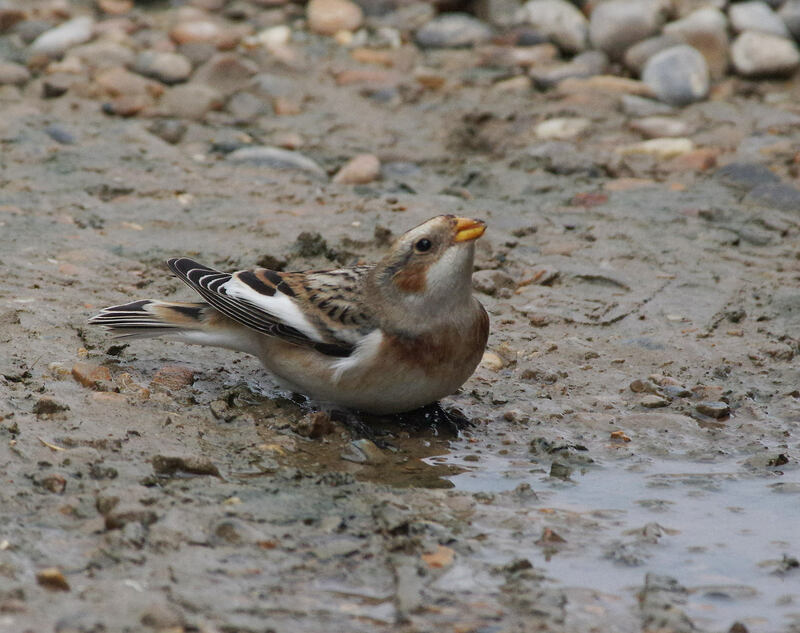 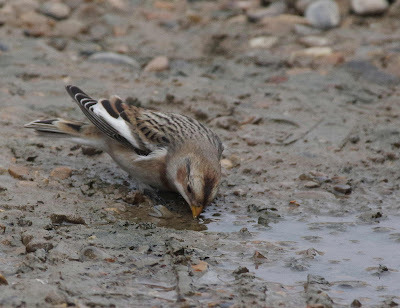 As we walked back to the car, these obliging birds flew past us and began drinking from a tiny muddy puddle right by the car! 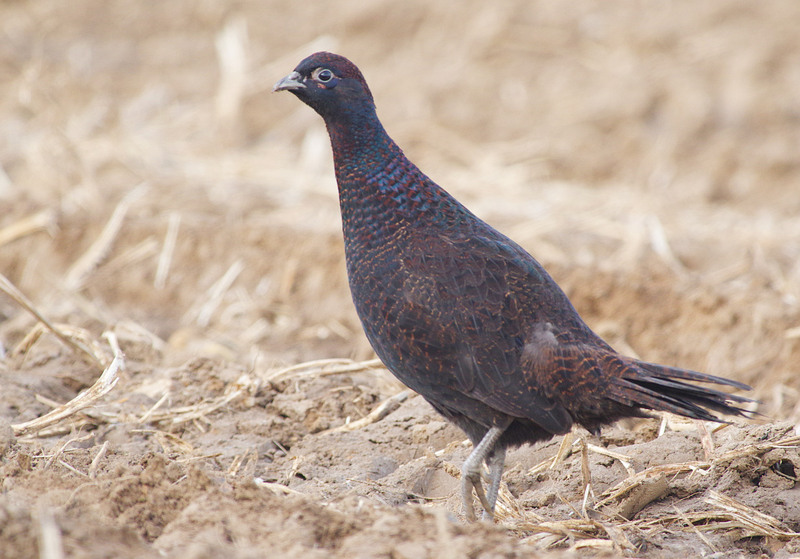 As you'll see, the female 'Blue Pheasant' does bear a superficial resemblance to a Red Grouse, but it's been a few years since there's been enough heather on Blofield Heath to support a population of those! 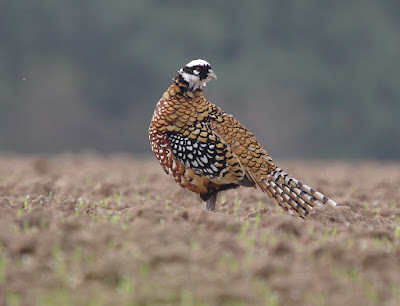 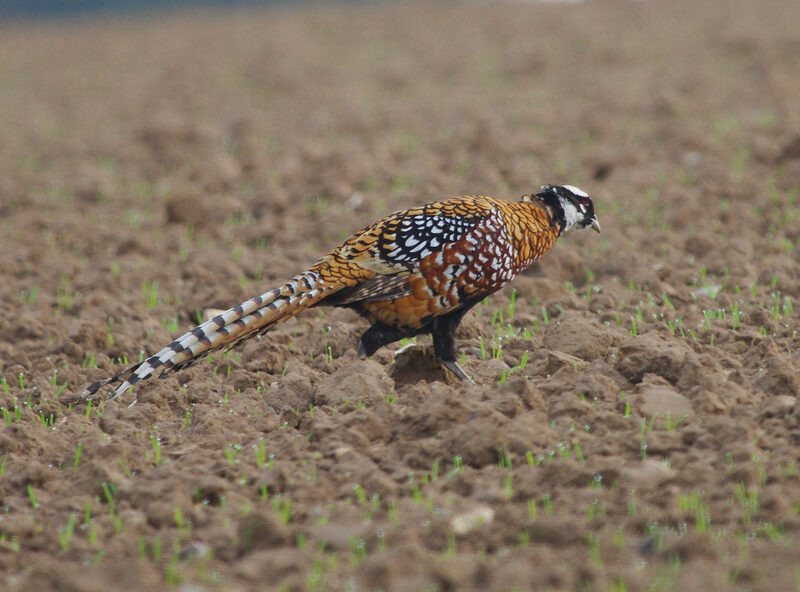 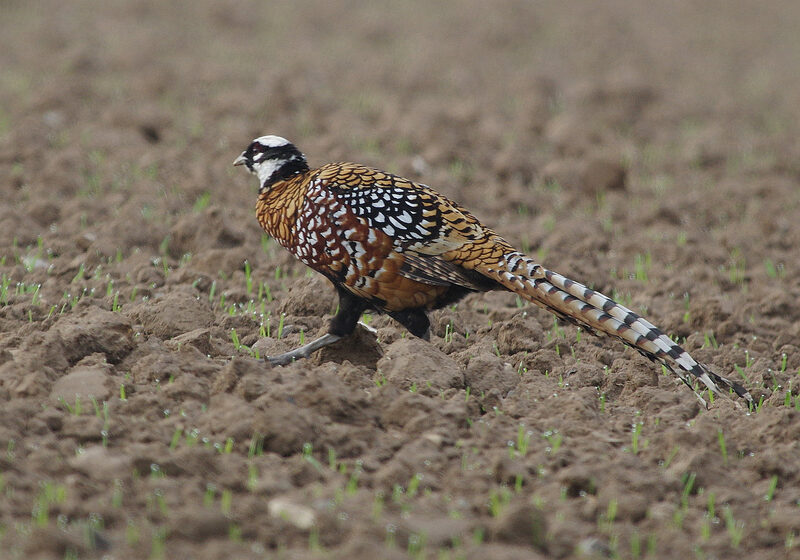 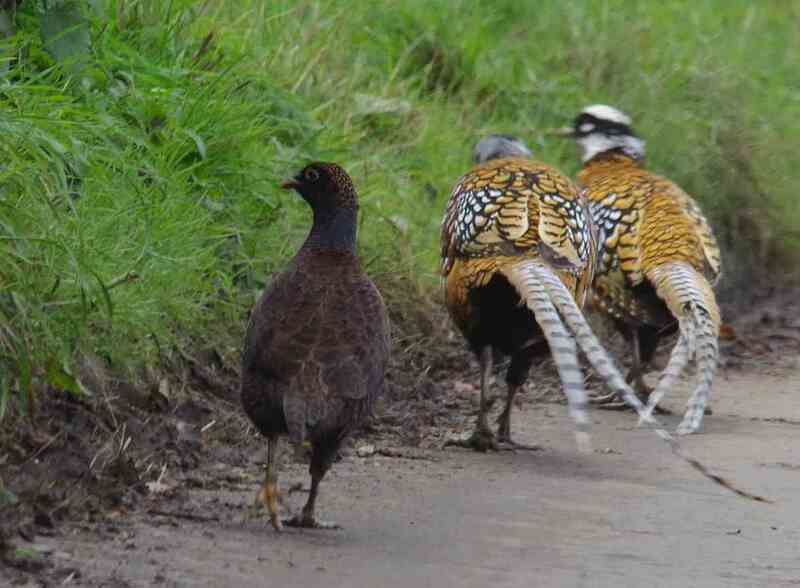 On the way back from the Dr's this morning I stopped near Hemblington Church to look for the Reeve's Pheasants. 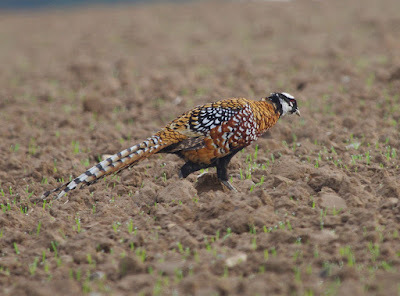 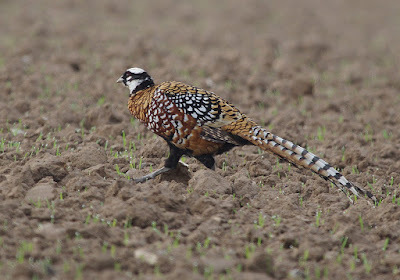 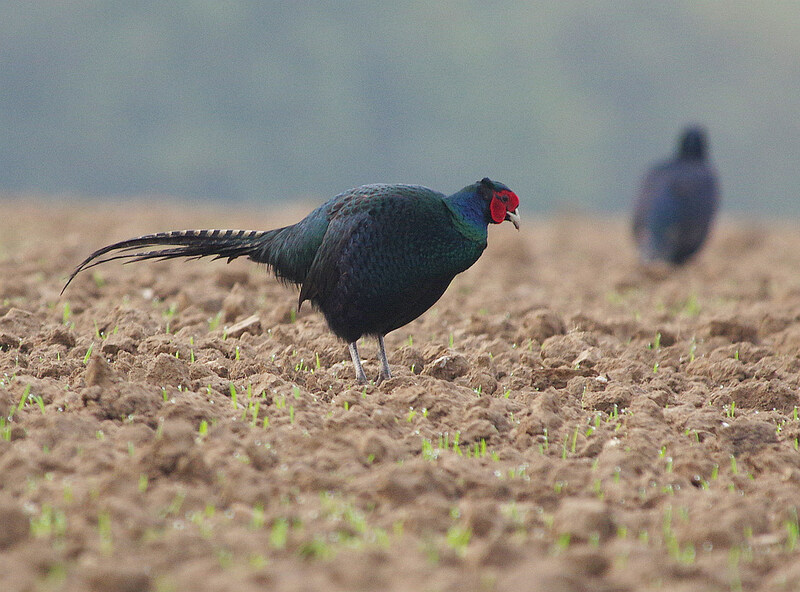 On this occasion there was a male right by the road, as well as lots of blue 'Chinese Pheasants'. 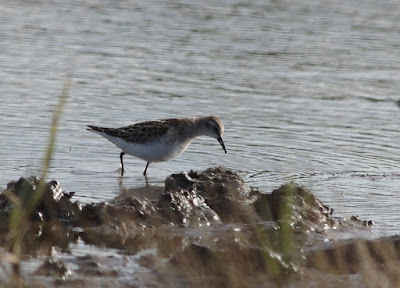 I took a few photos then zipped home to pick up Linda (she'd never seen a Reeve's!) 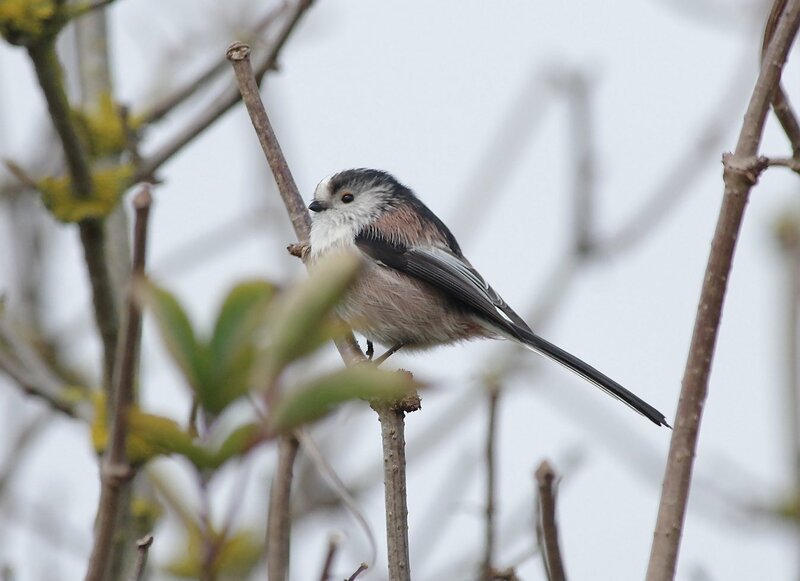 Happily these beautiful birds were still feeding in the fields at the top of the Heath, allowing good views of males of both species as well as a delightful female 'Blue'. 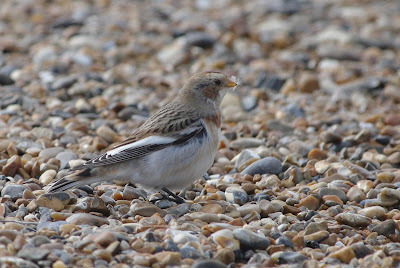 With a fine, sunny day forecast, Norman, Brian and I headed north to Cley. 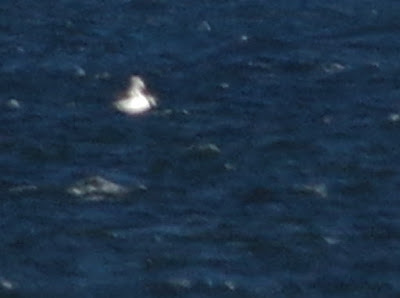 A half-hour scan from the beach car park failed to reveal any Snow Buntings or Black Brant, but Puffin was a year tick! 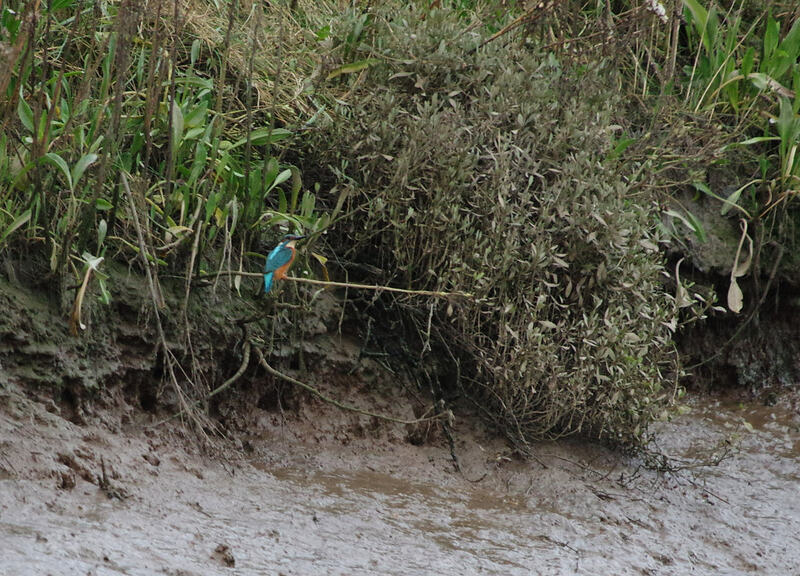 I walked back round to Bishop's Hide to meet the other two, picking up Kingfisher and Curlew on the way: no sign of the recent Black Redstart, but lots of little odds and ends to keep up the interest. 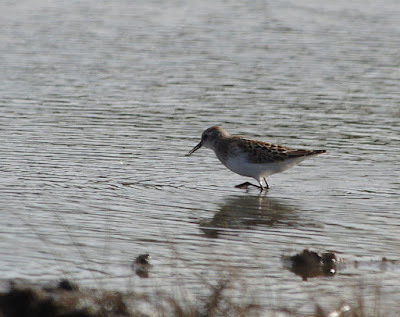 From Bishop's the only close wader was a Snipe, so we walked round to Dauke's: a couple of distant Little Stints and another Snipe weren't much reward, however! 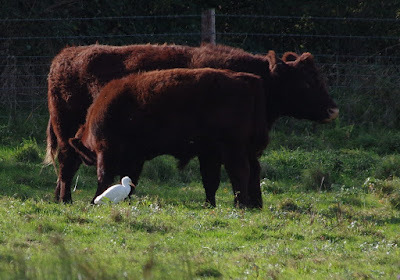 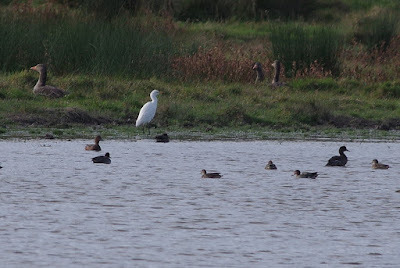 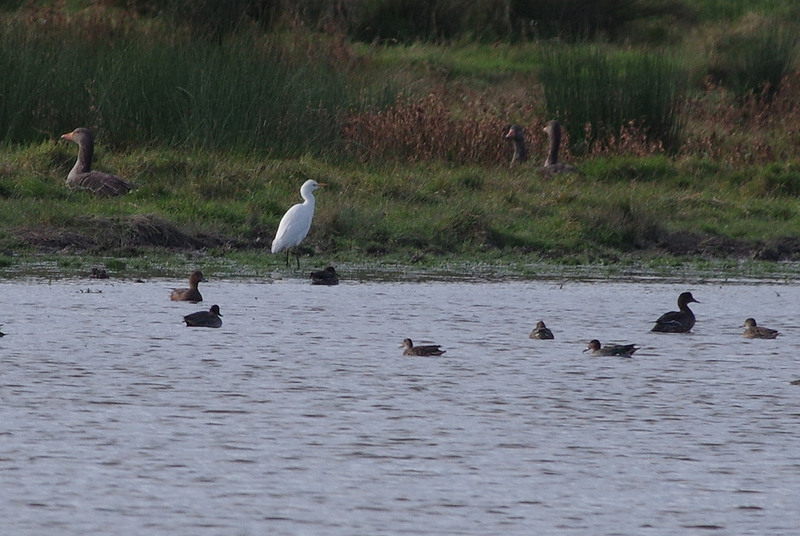 After coffee we headed east for another look at the Cattle Egret: once again it showed well if distantly and even had a bit of a paddle in the pool! 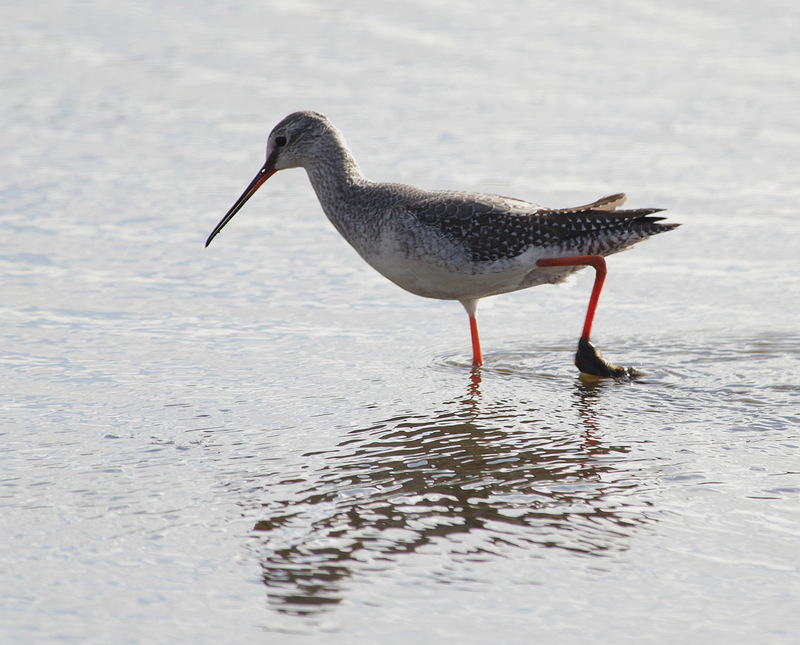 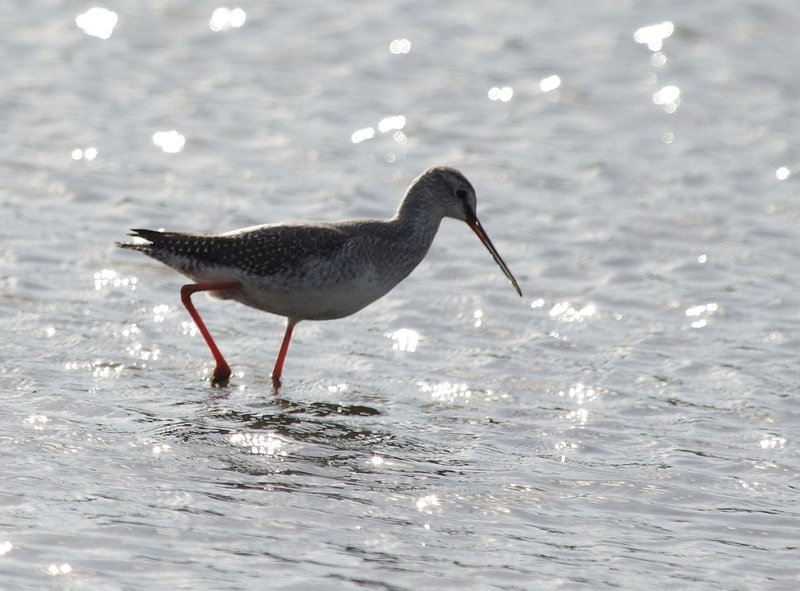 Back to Kelling Quags where one of the long-staying Spotted Redshanks came obligingly close, as did four Little Stints (What a good Autumn it's been for them!) 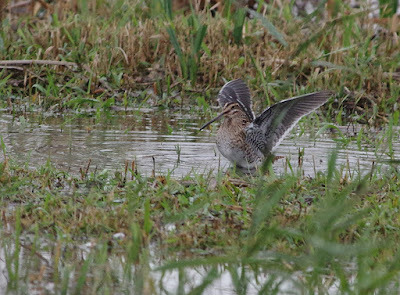 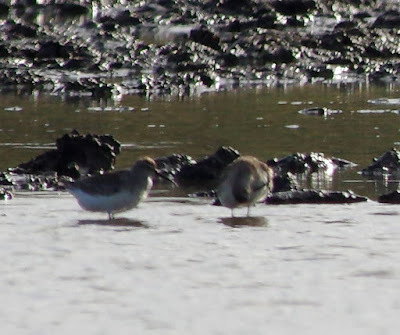 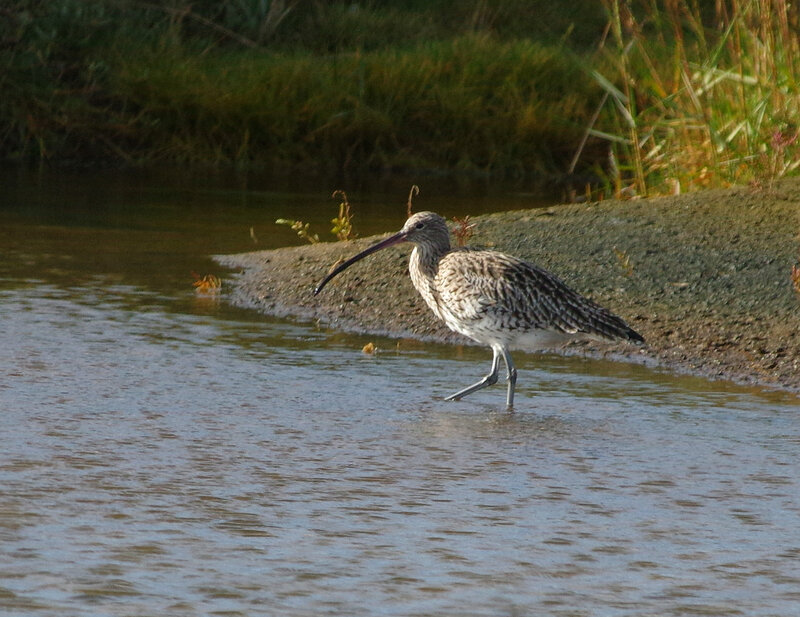 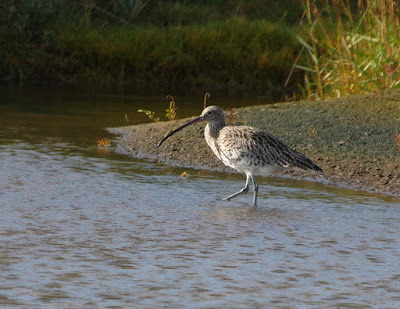 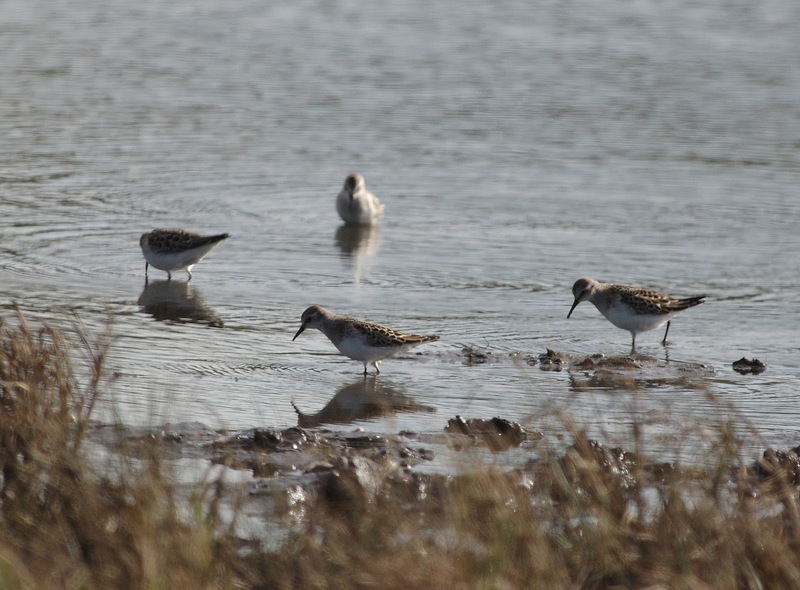 Two Curlew Sandpipers were a little more coy, resolutely staying at the back of the pool. 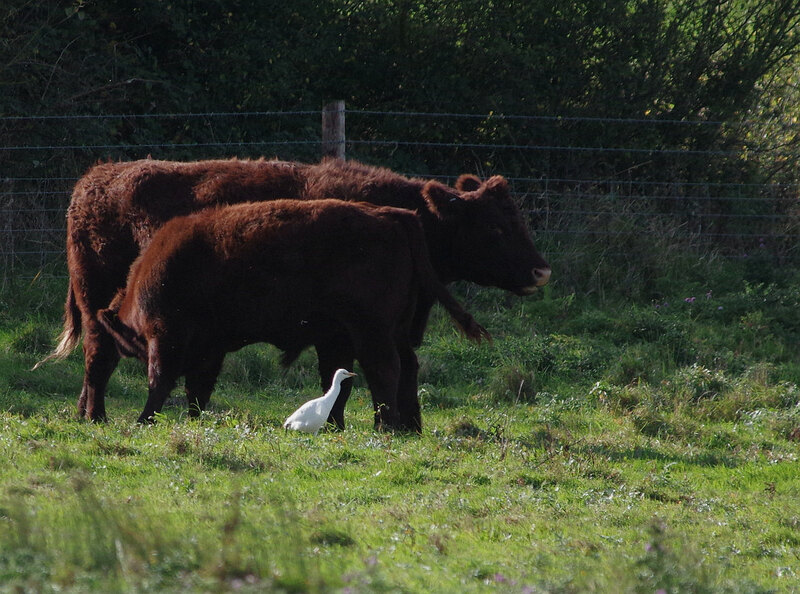 And so home!